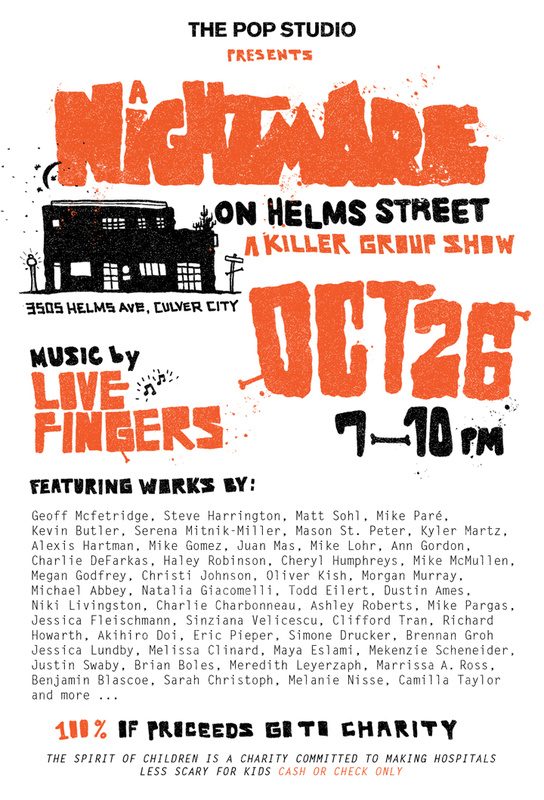 POPgallery is pleased to present A Nightmare on Helms Street, its first annual Halloween Charity Exhibition. 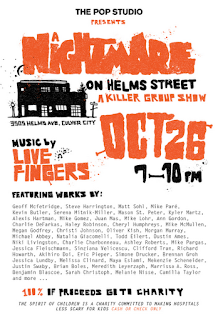 A Nightmare on Helms Street is a group show featuring works of over 50 artists, designers, writers, and craftsmen and women. All of the works have been donated and one hundred percent of the proceeds go directly to Spirit of Children, a charity committed to making hospitals less scary for kids. 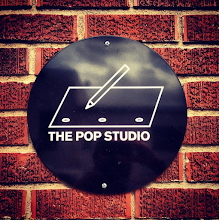 We have called upon artists to sharpen their pencils, pens and axes, to dig up those rotting canvases, that decayed sketchbook and hand over their most frightening creative offering yet! We have allowed "frightening creative offering" to be interpreted loosely and the medium limitless. Founded in 2006, Spirit of Children is committed to making hospitals less scary for kids and their families by providing fun during Halloween and funding all year long to Child Life Departments within children's hospitals. Spirit of Children chooses to partner with and support Child Life, whose main function is to provide developmental, educational and therapeutic support for children undergoing medical treatment. Trained counselors help children and their families cope with the many stresses involved when a child is in the hospital. Each year with the help of vendor partners, Spirit of Children sponsors and hosts Halloween celebrations in children's hospitals throughout the country. Members of the Spirit field team bring everything that's needed in order to have the best party possible from costumes to goody bags. Everything brought to the hospitals is donated by Spirit of Children and our vendor partners. It's a remarkable event that touches thousands of pediatric patients and brings countless smiles and laughter to children who might otherwise miss out on the joy of Halloween. A Nightmare on Helms Street will be on view at POPgallery [3505 Helms Ave, Culver City, CA 90232] from October 26, 2012 through November 9th, 2012. Gallery hours by appointment, please feel free to contact us Monday through Friday, 11am to 5pm.